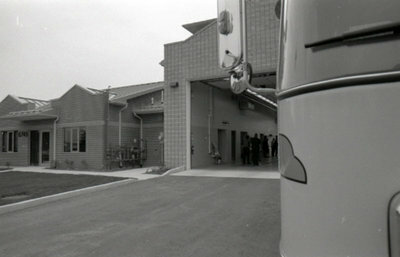 A black and white photograph the new Brooklin Fire Hall on September 18, 2006. Opening of the Brooklin Fire Hall, September 18, 2006, Carl Ferencz. Whitby Archives A2013_012_006C.